Arcane Gauntlets are small devices of leather and copper fitted to the wearer's primary hand and feature a small, thin gem imbued with pure arcane energies affixed to the palm. 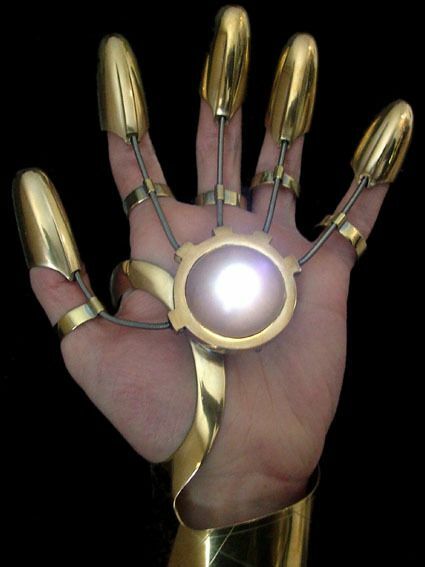 As a standard action the wearer of an Arcane Gauntlet may release its energies up to four times in a single encounter safely, and up to eight times if the wearer is willing to endure the burning residual heat from sustained use of the device. If an Arcane Gauntlet is used to its maximum effect (eight times) it is inoperable until such a time as its wearer takes a long rest. Arcane Gauntlet - Rare Magical Item - Requires Atunement - Ranged Magical Weapon - Range 60/120ft - One Target, Hit 6 (1d6 + 2) Arcane Damage - Special After 4 uses the Gauntlet inflicts 2 Arcane damage on its wearer during every use in an encounter, on the 8th such use the wearer incurs 1d6 damage from the gauntlet's use.